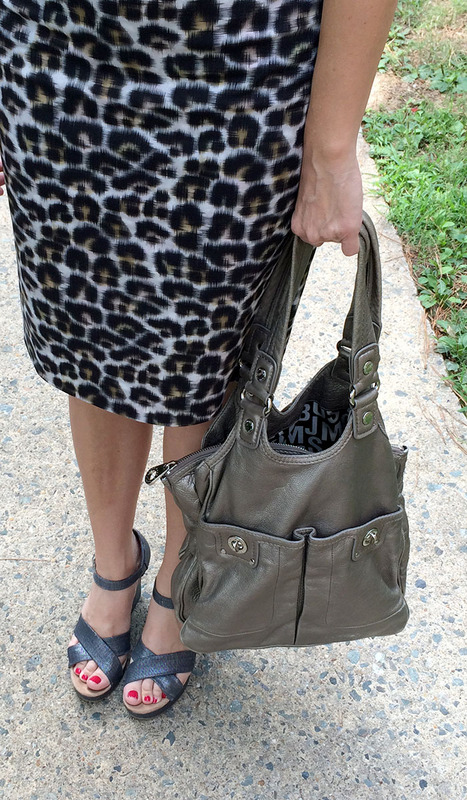 Looks Good from the Back: The Bag Equation and a Giveaway! This may seem like a lot of bags but if you chose carefully and buy things that work with your lifestyle and wardrobe, you’ll be covered for a long time. Now, because I’m not a total jerk and don’t want to set you up to be sad because you can’t afford to run out and buy a bunch of bags, I have a giveaway! OH YEAH. So, a while back Adina over at Blue Collar Red Lipstick had a Pay-It-Forward giveaway and I won a very beautiful dress. So nice! I decided to do the same, and I’m actually doing it with a great bag I got from Adina in a trade. I've carried it for a while and now it's time for it to find a new home. It’s been pre-loved and isn’t in perfect condition, but it’s still really nice and has years use left. I’m giving it away to one of you, to be selected randomly. The Giveaway is now CLOSED. Please stay tuned for the announcement of the winner! *The boot equation idea was totally stolen from my friend Paula who's got more pairs of boots than I do, if you can believe it. I have two purses, a JuJuBe diaper bag/purse and my more recent splurge, a sparkly Fossil cross body. It's twice the size of the one you posted, but I can fit my iPad or a book in it, so it's perfect for me. Gorgeous bag selection! My favorite bag is a mahogany brown Fossil tote with a zipper I bought about a year ago. It's the perfect size for work - big enough for some papers, but not so huge it looks odd if I'm using it on an off-work day. My favorite is much loved, much used black, leather Coach crossbody. I think it must be 10 years old? My Coach Phoebe bag in cobalt is my favorite. ekinland18@yahoo.com. I have a black Fossil hobo bag I love. It has enough room for everything! Love the Pippa! Have in 2 colors! I love the Botkier Soho Tote you have listed above, but there are two bags that I carry the most. One is from Fossil and it is a basic black leather tote. 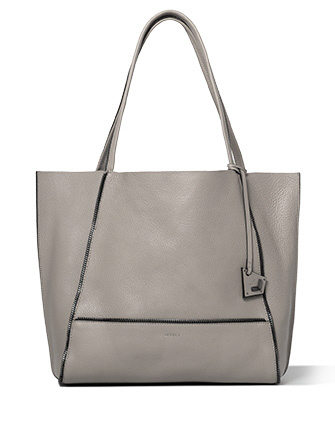 I also carry around a twill zip tote from Everlane way more than I probably should. My email is supasonicsage at gmail dot com. Thanks for the great giveaway! 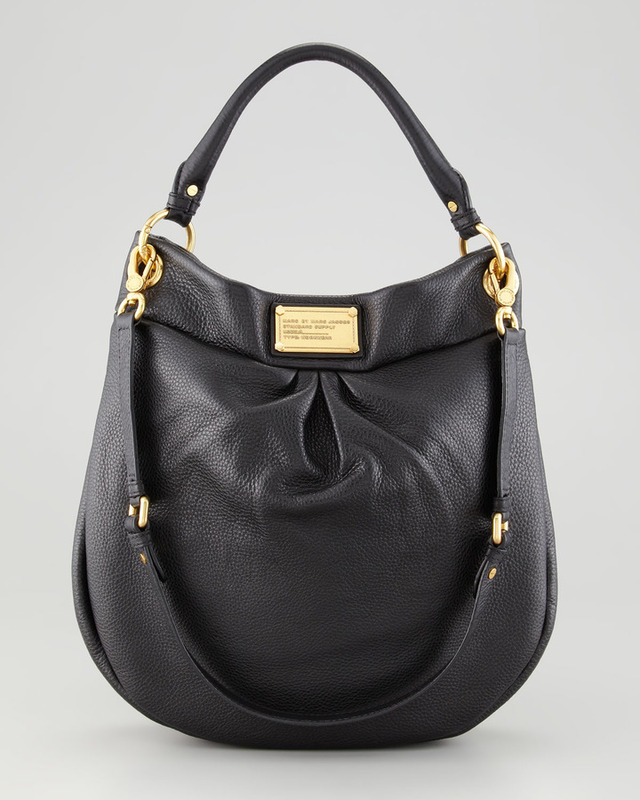 I covet the Hillier hobo. 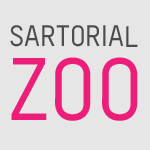 I love it every time you show it on the blog. 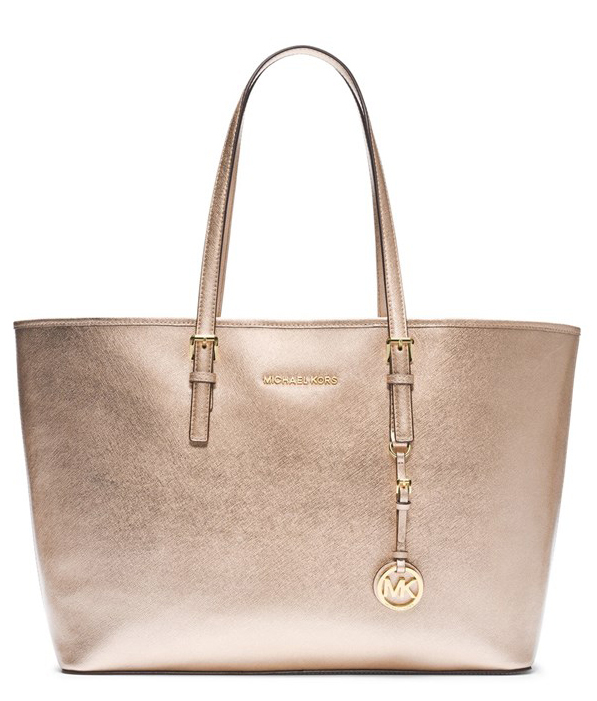 I have an ancient Coach tote that I love, but I'm always in the market for new bags. My favorite stress reliever is combing through the purse section at TJ Maxx. I've been carrying a Cole Haan tote for about seven years. It's pretty beat up but the scratches are just adding to the allure. I have carried this tiny black Coach tote for years upon years and it's just no longer cutting it :( I am currently on the search for something a little larger. hillarie dot diaz at gmail dot com. My favorite bag is a Marc Jacobs Stella in a lovely plum color - from the first year, when they had brass buckles. The lining is pale blue suede. Sigh. 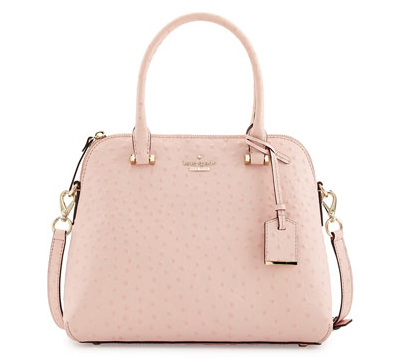 My favorite bag is a mint green Kate Spade cross-body. I got it last year and I love it so much! Perfect size & color. My favorite bag these days seems to be the one I don't yet own! Thanks for the giveaway. I am in a bag desert right now. I am using a crappy fake-leather one (but it's bright green!) for everything. The bag situation is dire. And this one is lovely. Does that show email? It's just the username above, at g mail. My new favorite bag is a Sash bag (www.thesashbag.com) that I got a few weeks ago and it is pretty perfect, especially on weekends. I need something that's good for work, though!! My favorite bag is a small, black cross-body Fossil that I bought for 5 Euros and wear every time I go dancing at the local club's 90's night. Which is every other Saturday, because my musical tastes never matured past 2002. 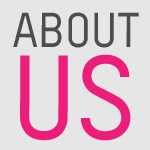 My favourite is a black, cross-body from Kate Spade. It fits a diaper, some wipes and some snacks for my kids. Perfect! I'm a mom of a 5 year old and 18 month old twins so my bag is usually whatever small canvas tote I can grab to shove their water bottles in as we head outside. When it's just me I tend to reach for my black satchel. 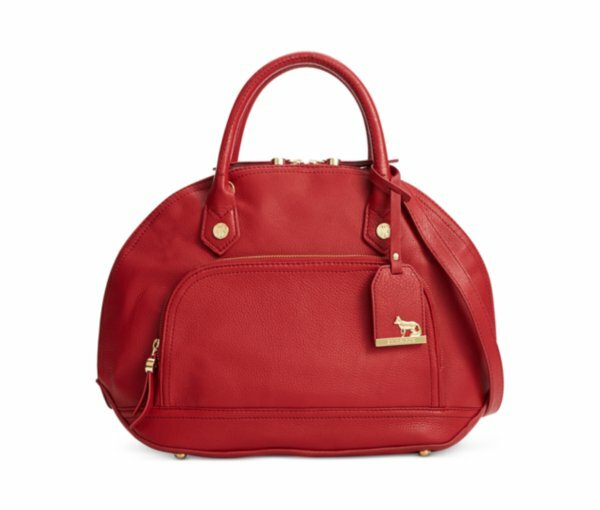 I have a red patent leather Kate Spade bag that has a giant bow on the side that I absolutely adore. I may have audibly gasped when I saw it at Nordstrom Rack. I only carry it in winter as it seems a little holiday. Otherwise, my Marc Jacobs "Too Hot to Handle" in bright blue is my fave. I don't really "do" neutrals! 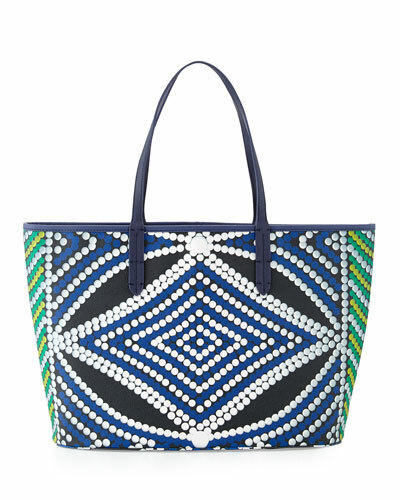 I tend to shout from the rooftops, telling the story of my favorite bag. It is a large, blue colorblock Cole Haan Crosby Shopper - which I found the day after Christmas 2013 at DSW. It was all alone on the clearance table with a number of holiday themed socks. Original price - $395. Tag price, $120. Tack on 80% off and I double, triple and quadruple checked the tags and ran to check out. I have some fun bags and some really great practical bags, but my favorite is this little sparkly no-name clutch that was my grandma's. It was her "fancy" purse, and it went with her on all sorts of adventures. I love that she carried it to places that made her happy. My favorite bag ever was a much loved red satchel that I got at a stand in the mall. It was large and leather and magical. I have since upped my bag game but never found anything quite as delightful. Forgot email. Claw121803 at yahoo.com. So hard to choose! The bag I got as a college grad gift (a million years ago) is still my favorite - my Coach Station bag. Not big enough right now with all the little kid stuff that accumulates, but still, it goes with everything!! I finally splurged this year and bought a MBMJ black hobo for everyday wear. This bad boy ROCKS. 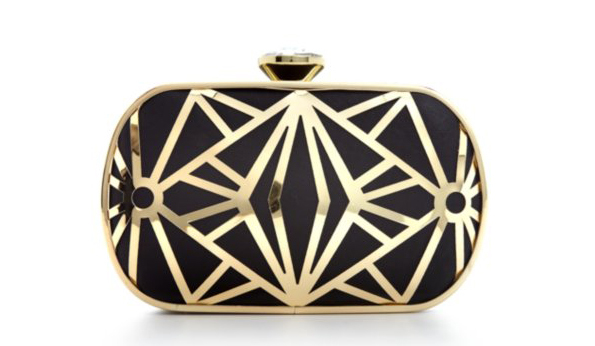 Holds everything, works as a crossbody or a shoulder bag...we're in love and getting married this Spring. I always wanted one of those MBMJ bags with the metal birds on them, but I've never spent that much on a bag. I have a Hobo crossbody bag that I like a lot and lately I've been carrying a Madewell crossbody. It's always nice to have your hands free. I love a cross body bag but am diversifying to totes and satchels. My favorite purse though is a depression era purse made by a friend of my grandmother's out of a coffee cand and a hide she tanned herself. Love mbmj bags too. My all-time favorite is a black Coach tote - works with everything. Thanks for doing the contest. Thanks for the giveaway! My bag equation is n=1, sadly, and my current standby/victim has definitely seen better days. My favorite was a fair trade Guatemalan bag made out of recycled huipil fabric. Colorful, impractical, beautiful. It did not hold up well, and was recently donated after a lot of wear and tear followed by a year or two in the back of the closet. Sigh. 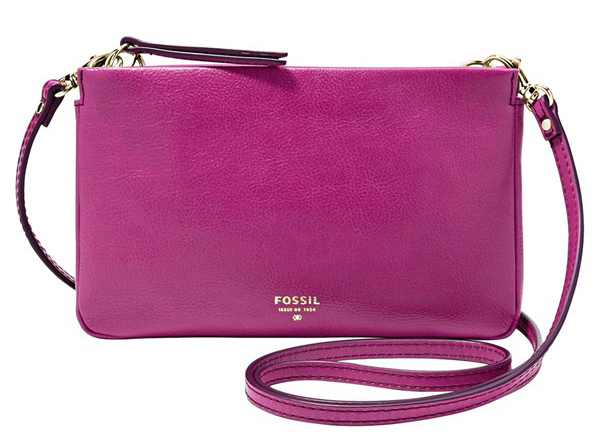 Love a good crossbody. Helps to have hands free when hauling children. You're inspiring me to up my bag game from flavor of the month el cheapos to real deal Holyfields. Love the giveaway bag! My favorite bag = my only luxury bag ever, a Marc Jacobs hobo style purchased at Barneys 10+ years ago. My favorite bag is my only bag is just my Jansport backpack. Ha, I would love a hobo or a crossbody! I love the boot equation! Totally using that. 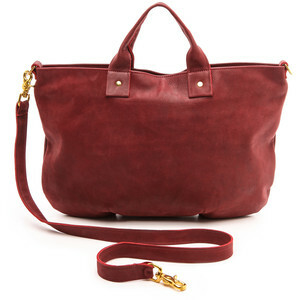 My favourite is my Cambridge Satchel in Oxblood - smart (and capacious enough) for work but cool enough for the weekend. alex_mizzi at hotmail.com. I'm in love with with my wine-oxblood colored Botkier saddle-shaped bag with gunmetal gray links. Thanks for asking! micaelab55 at hotmail dot com. Oooh, I would love to win that bag! I don't have any really nice bags, but my current favorite is (tearing, unfortunately) a large one that doubles as a diaper bag!! favorite bag? The vintage coach willis bag I bought at a yard sale for $.50.